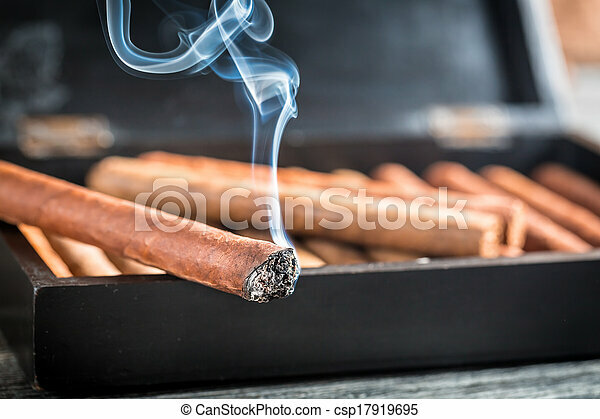 Closeup of burning cigar on wooden humidor. 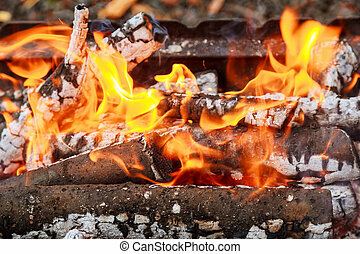 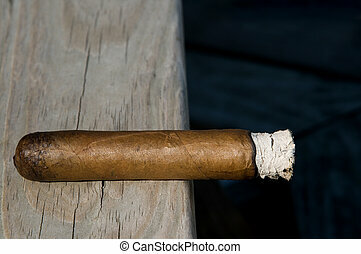 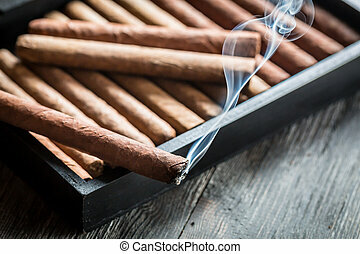 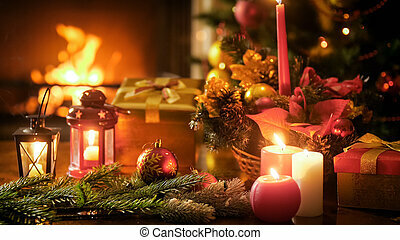 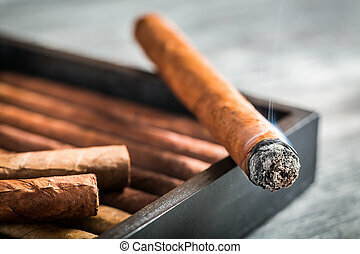 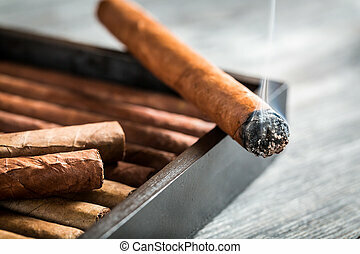 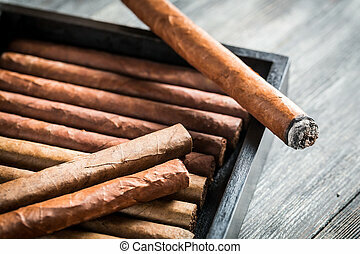 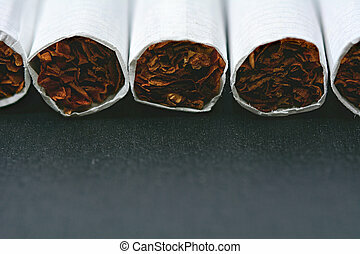 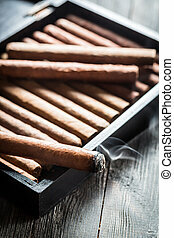 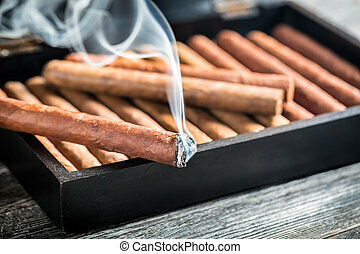 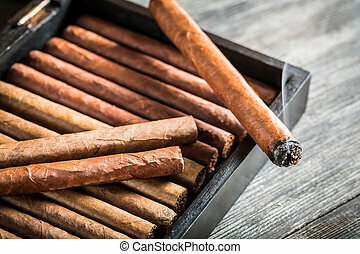 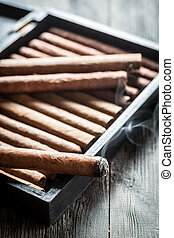 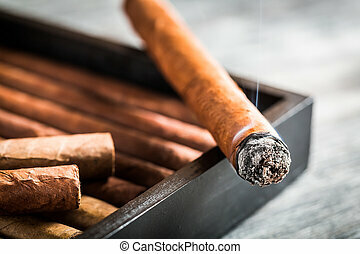 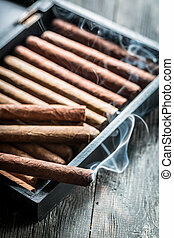 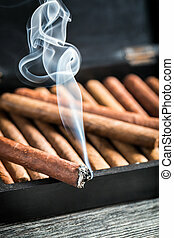 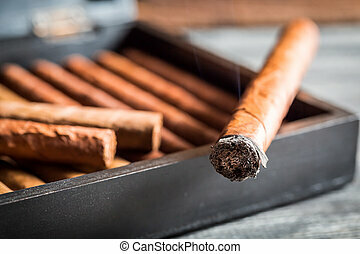 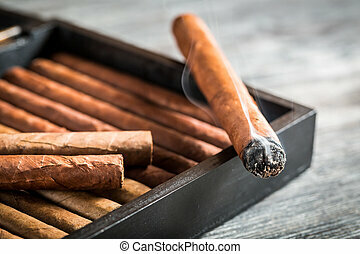 Outdoor shot of lit cigar resting on rustic wooden bench. 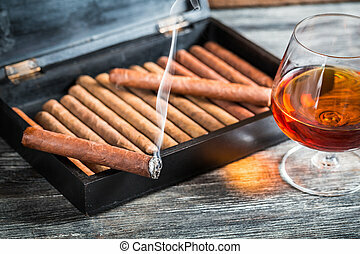 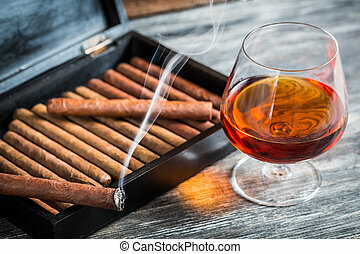 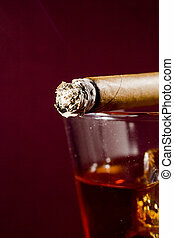 Close-up photograph of a brown, burning cigar on a glass of whiskey.